Florida itself has proved to be a huge area of growth for us. 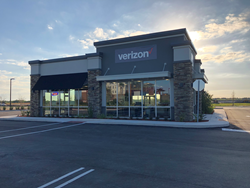 Cellular Sales, the largest independent Verizon Wireless retailer by volume, has opened its second location in Port St. Lucie. Named to the Inc. 5000 nine times, Cellular Sales has grown tremendously since its inception. Placing an emphasis on customer service, Cellular Sales has grown from a single store in Knoxville, Tenn., to a national retailer with 670 stores across 39 states. Cellular Sales seeks to hire motivated sales professionals with a passion for customer service to work at its Port St. Lucie store. Those interested in applying for jobs at Cellular Sales in Port St. Lucie may contact Cellular Sales Recruiter at Sebastian Diamante at (321) 278-1428 sebastian.diamante@cellularsales.com.